They are two of the most unique boats that Lake Assault has ever made. For a company like Lake Assault, that’s saying something. 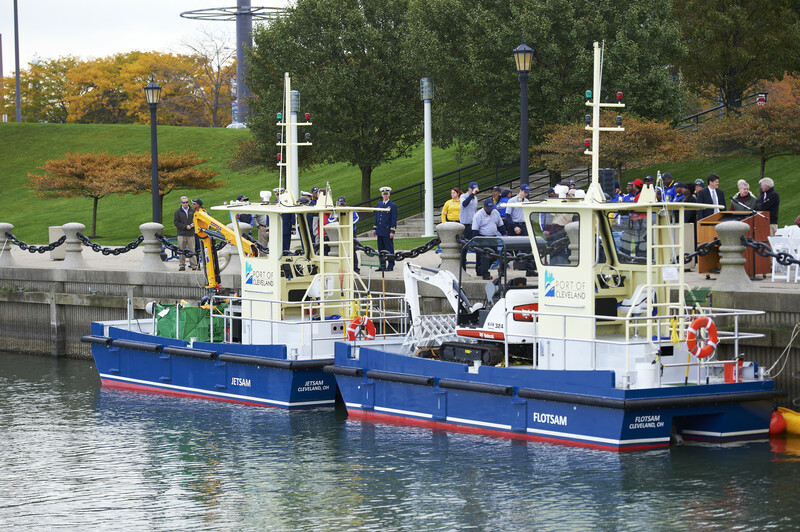 Flotsam and Jetsam are sister ships built specially for the Cleveland-Cuyahoga County Port Authority to keep the Cleveland Harbor clean. 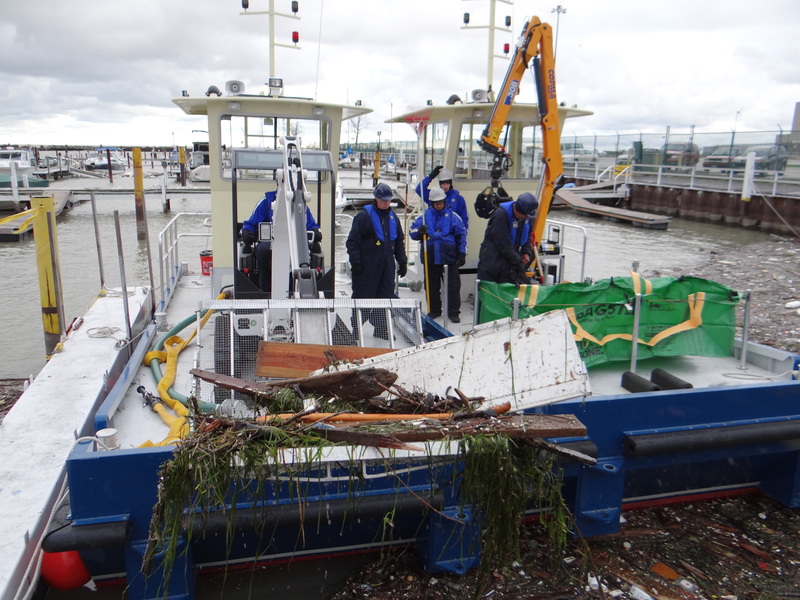 Flotsam carries a mini-excavator with a custom shovel to scoop out debris that is then loaded into special trash containers on Jetsam for disposal. The vessels also carry water pumps and floating booms to push debris or any chemical spill into a concentrated area for roundup. Jetsam also is fitted with a hydraulic crane and grapple to hook onto debris. 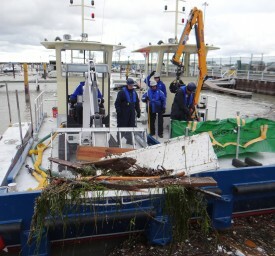 Only a few weeks after their commissioning, the work barges demonstrated their value by removing approximately 24 tons of floating debris generated by Superstorm Sandy. 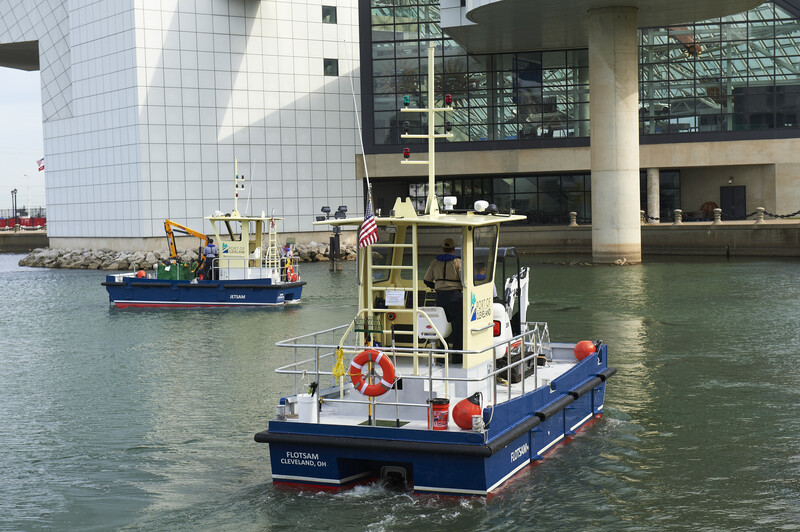 The two work barges helped the Cleveland-Cuyahoga County Port Authority win the Environmental Improvement Award from the American Association of Port Authorities in 2013. 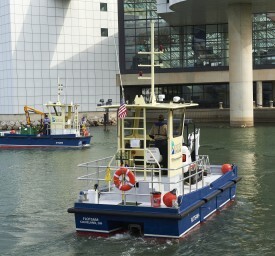 The port received the award for its restoration project in the Cleveland Harbor. 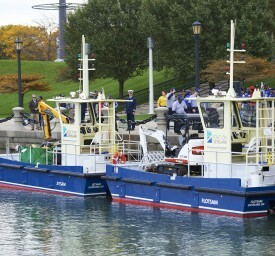 The Cuyahoga River is cleaner and more beautiful after the first full season of operation by the sister work barges. Lake Assault built Flotsam and Jetsam to unique specifications for the port, which financed the project with a grant from the U.S. Environmental Protection Agency. "The vessels ... could be the answer to similar problems facing other old, industrial waterfronts with tight confines."